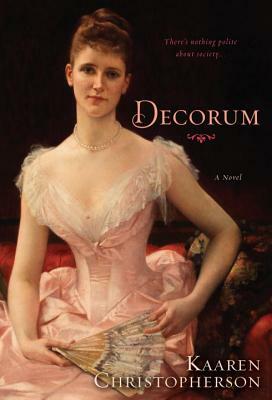 Kaaren Christopherson's brilliantly observed novel captures the glamour and grit of one of the world's most dazzling cities during one of its most tumultuous eras--as seen through the eyes of a singularly captivating heroine. . . In 1890s New York, beautiful, wealthy Francesca Lund is an intriguing prospect for worthy suitors and fortune hunters alike. Recently orphaned, she copes by working with the poor in the city's settlement movement. But a young woman of means can't shun society for long, and Francesca's long-standing acquaintance with dashing Edmund Tracey eventually leads to engagement. Yet her sheltered upbringing doesn't blind her to the indiscretions of the well-to-do. . . The mode in which the avowal of love should be made, must of course, depend upon circumstances. It would be impossible to indicate the style in which the matter should be told. . .. Let it, however, be taken as a rule that an interview is best; but let it be remembered that all rules have exceptions. . .
Kaaren Christopherson has been writing and editing professionally for over twenty-five years and is a senior editor for a large Washington, DC, international development nonprofit. She has been active in writer's groups and workshops. She lives in Alexandria, VA.